Twin Agent Vehicles | Carrozzeria Chinetti S.r.l. 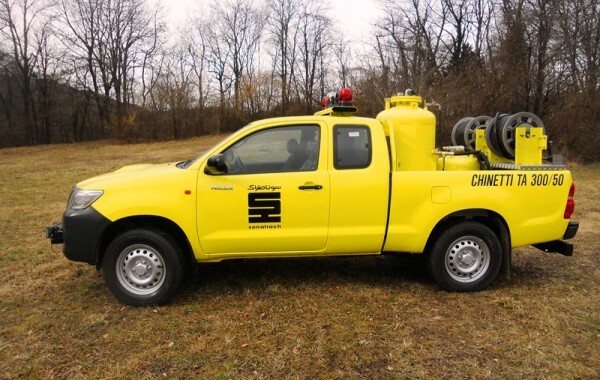 Multipurpose Firefighting Vehicle (water, foam, DCP), based on two axle chassis (4x2 o 4x4), 2 or 4 doors cabin, water and foam tank up to 6'000 lt., water pump available with different flow rates, many different foam mixing systems available, water and foam monitor (different models available), dry chemical powder unit up to 1500 kg capacity. 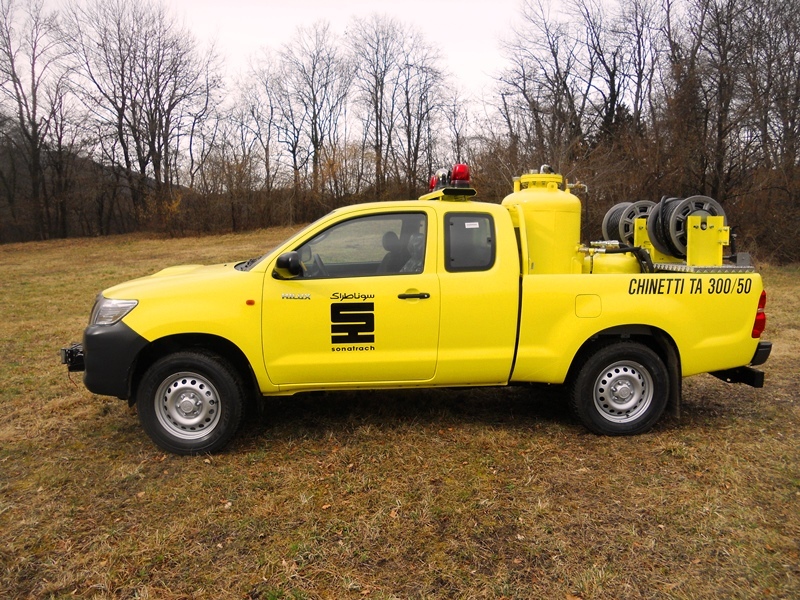 Multipurpose Firefighting Vehicle (water, foam, DCP), based on three axles chassis (6x4 or 6x6), 2 or 4 doors cabin, water and foam tanks up to 12'000 lt total capacity, water pump available with different flow rates, many different foam mixing systems available, water and foam monitor (different models available), dry chemical powder unit up to 3000 kg capacity. Foam Fire Truck, three axles chassis (6x4 o 6x6), 2 or 4 doors cabin, water pump available with different flow rates, balanced pressure type foam mixing system with foam pump, water and foam roof monitor (flow rate up to 10'000 lpm), foam tank up to 15'000 lt. Foam Fire Truck, three axles (6x4, 6x6 or 6x2) or four axles (8x2, 8x4 or 8x8) chassis, 2 or 4 doors cabin, water pump available with different flow rates, balanced pressure type foam mixing system with foam pump, roof water and foam monitor (different flow rates), telescopic hydraulic boom with 20m working height (available up to 58m) and boom monitor, water and foam tank up to 12'000 lt, possibility of installation of a DCP system. Fire Fighting Aerial Platform, working height 62 mt., water and foam tank (different capacities available), water pump (up to 10'000 lpm), many different foam mixing systems available, basket monitor up to 5'700 lpm, rescue ladder on the boom available as optional, 2 or 4 doors drive cabin. 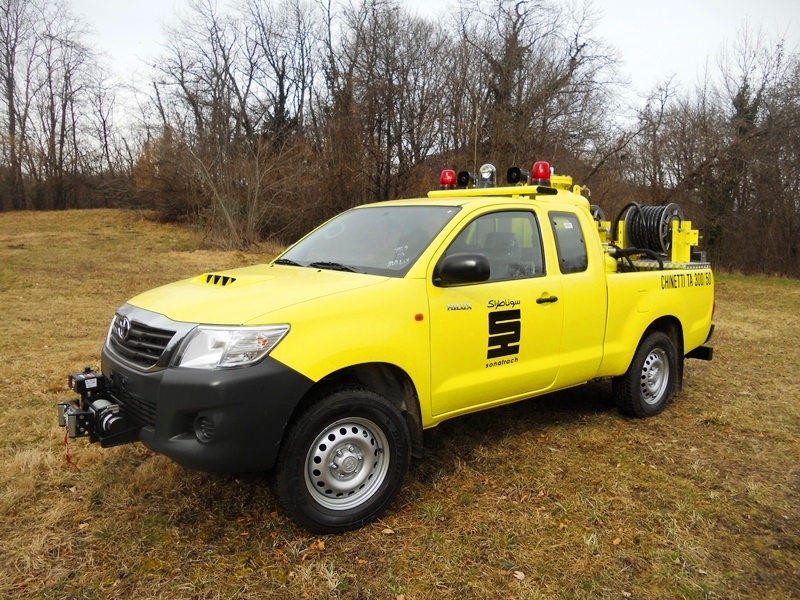 Fire Fighting Aerial Platform, working height 55 or 45 mt., water and foam tank (different capacities available), water pump (up to 10'000 lpm), many different foam mixing systems available, basket monitor up to 5'700 lpm, rescue ladder on the boom available as optional, 2 or 4 doors drive cabin. 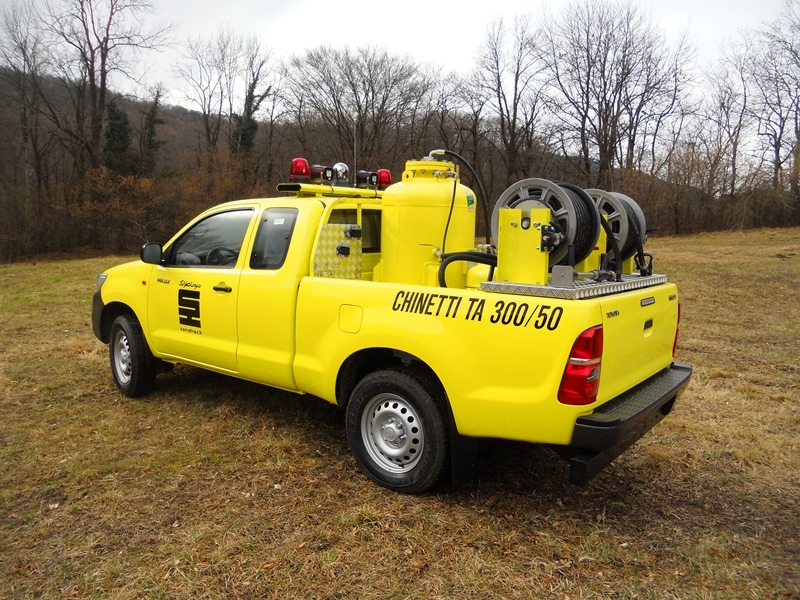 Fire Fighting Aerial Platform, working height 37 o 33 mt., water and foam tank (different capacities available), water pump (up to 10'000 lpm), many different foam mixing systems available, basket monitor up to 5'700 lpm, rescue ladder on the boom available as optional, 2 or 4 doors drive cabin.